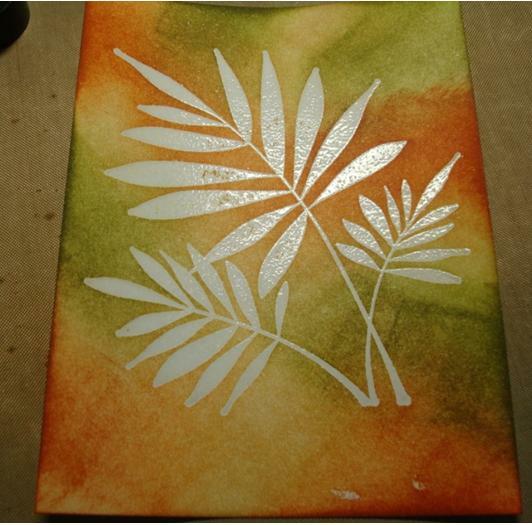 Today's tutorial is brought to us by Beverly, who recently included this beautiful card in a shipment to OWH. We thought you would enjoy seeing how she made it. 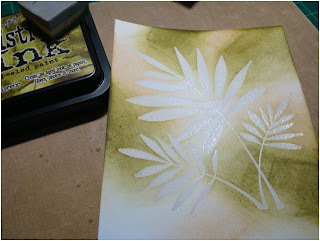 This is a great technique that Shari Carroll shared at the Hero Arts website. It’s easy, fun to do, and looks great. 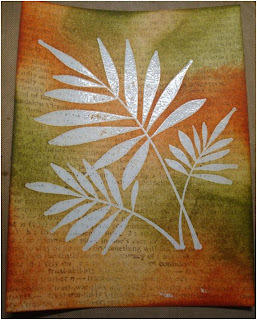 For this sample, I used the Hero Arts Friends Definition and the Hero Arts Three Ferns rubber stamps, clear embossing powder, Versamark Stamp pad, Tim Holtz distress inks, and Ranger’s Cut N Dry Foam pads. 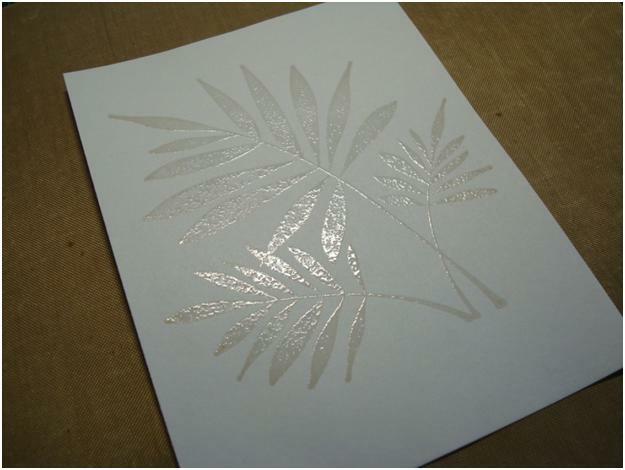 First I stamped the leaf stamp with Versamark onto uncoated white cardstock. 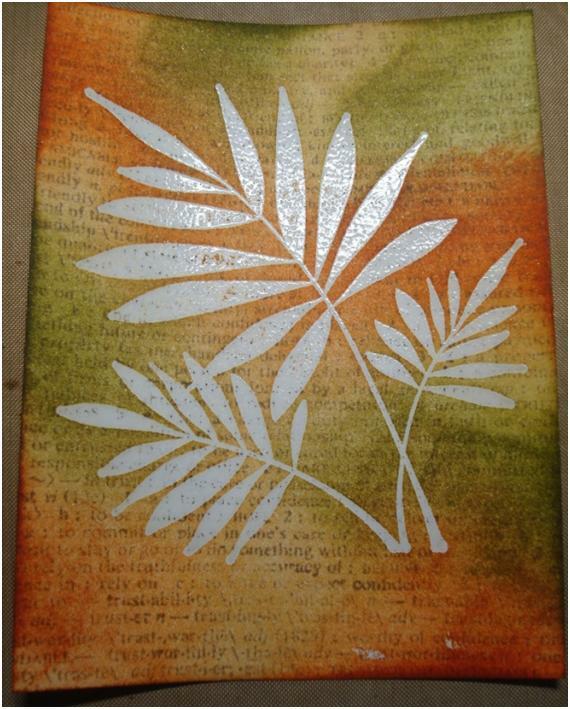 Sprinkle with clear embossing powder and heat emboss. 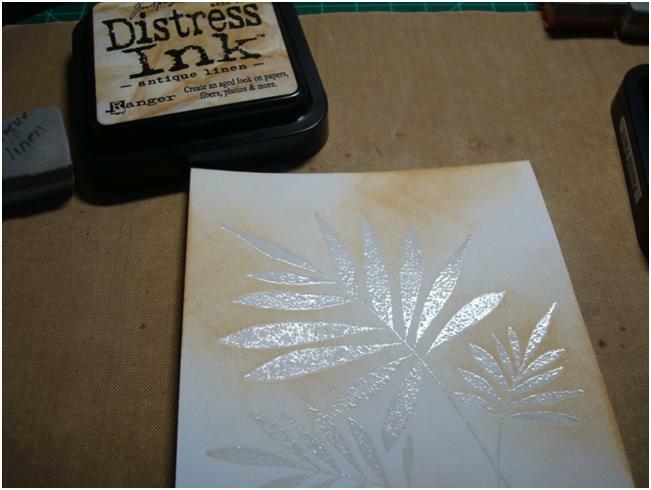 Apply Distress inks to the cardstock (direct to paper) using the foam pads, going over the embossed areas and overlapping the colors as desired. I started with Antique Linen, the lightest in color, then the Peeled Paint and lastly the Rusty Hinge. 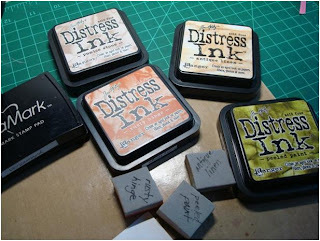 When you get the desired effect, ink the Hero Arts Friends Definition with Pumice Stone Distress ink and stamp over the embossed image. Using a moist paper towel, wipe the embossed areas to remove the ink. 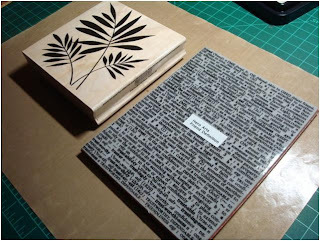 Cut the image down to 3 ¾” x 5” and mount on a 4” x 5 ¼” piece of white cardstock. 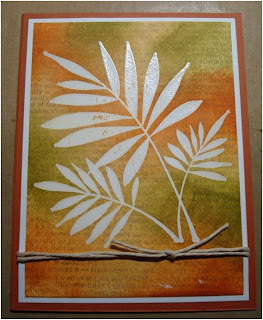 Wrap with hemp and mount onto a 4 ¼” x 5 ½” card. Beverly doesn't have a blog, so be sure and comment to let her know what you thought about today's tutorial! Very pretty card, and easy. Really nice! I'll have to try it! I just love the way it looks. I'm going to have to try it. TFS. Thanks for fabulous Distressing Tutorial! You have inspired me to get out my inks and stamps and do something different! I'm going to have to dig out my clear embossing powder to try this great idea! 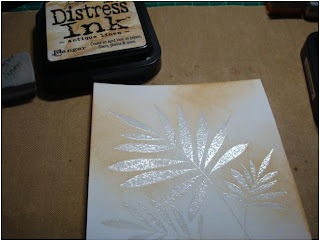 How ironic that I just watched a Tim Holtz YouTube video on this tecnique last night!! I absolutely LOVE your card! It is so beautiful with it's Fall like colors. Great Job and thanks for sharing. Great Tutorial! Love the card and something I will definitely try! Wonderful Tutorial - so easy to follow. Your card is stunning - thank you for the tutorial and your beautiful card. Thank you all for your kind comments. It really is a fun technique and I hope you will try it. What a lovely card! You're tutorial was clearly states and set up! Great work for OWH!